One of the best ways to grow a healthy, beautiful garden is to care for it consistently, including nurturing the soil and guarding against weeds and insects. Similarly, the healthiest marriages are nurtured, protected, and as a result, enjoyed. Skip Heitzig teaches that a biblical point of view for marriage is one where both spouses are offering ongoing care and fulfillment as a major defense against infidelity. 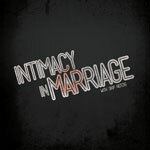 This series points out the foundational ways to cultivate a continual intimate relationship with your spouse.